The English Riviera shone and shimmered like a true Riviera should last week as the UK travel trade made a bee-line for this iconic destination. 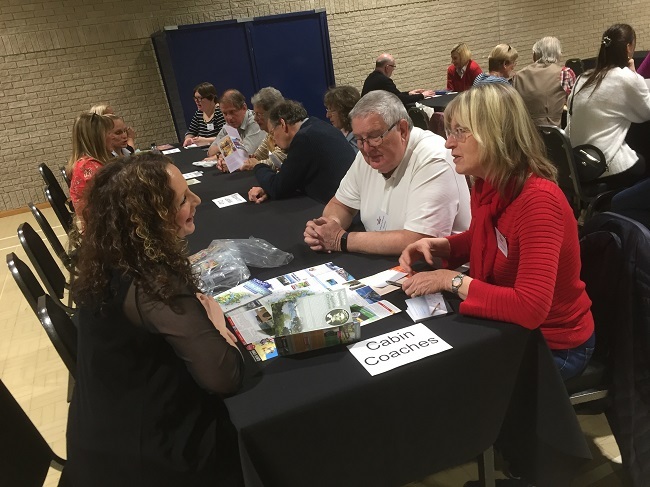 With group bookings in mind for the many tourism businesses there and coordinated by group travel specialists Steve Reed Tourism Ltd, the seaside towns of Torquay, Babbacombe and Paignton joined forces to give the tour buyers an experience to relish. The hotels involved in hosting the tour buyers included The Carlton Hotel; the Grand Hotel; Abbey Sands Hotel, the Livermead Cliff Hotel and the Redcliffe Hotel. Attractions opening their doors to the buyers included the Babbacombe Theatre; The Dartmouth Steam Railway; Kent’s Cavern; Torre Abbey and Gardens; Bygones Museum and the Babbacombe Model Village. Attendees were many and included for example Norman Allen Group Travel from Hereford; Simply Groups from Yorkshire; Albatross Group from Kent; Cabin Coaches from Essex and Miki Travel from London. Some top group travel organisers from around the country joined this group helping to provide some combined buying power. The group also participated in the annual English Riviera Show also arranged by the BID Company and housed in the English Riviera Centre. There the attendees had another opportunity to meet and talk bookings directly with tourism businesses in a special face to face workshop session. And this year’s Gala Supper took place in the unique setting of Kent’s Cavern. Stalagmites, stalactites and some curious bats added to the convivial atmosphere at this iconic attraction. 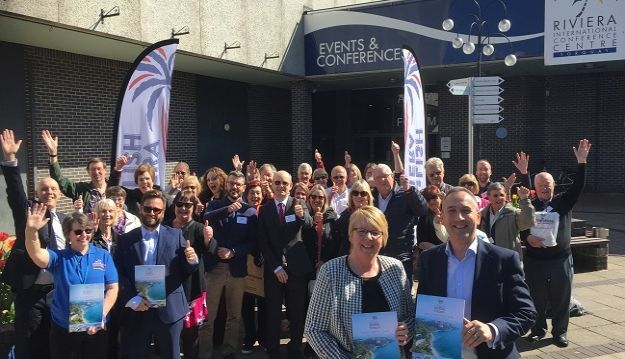 ‘This was the second successive Group Buyer Showcase we have had in Torbay and our initial findings are that the event is sure to bring bookings for our partners in the BID,’ Says Carolyn.